Okey so enough of PWM for audio, its time to get serious ! So i fired up Altium again and went on designing a proper sound card for the XC-2, and quite a sound card it is with its capabilitys reaching up to 192Khz at 24Bit. Still while packing a punch it remains quite tiny at 25x40mm only and half of the room are the big 3.5mm jacks. 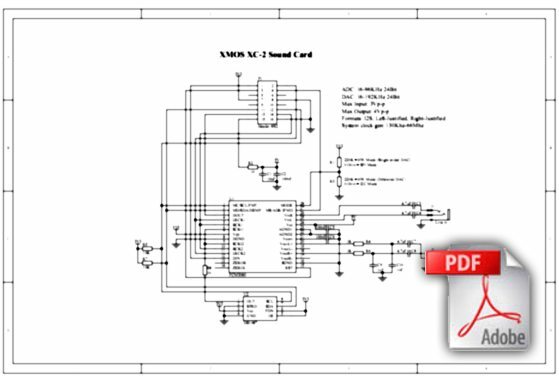 There is also a small 8 pin oscillator on the board that provides the necessary clocking to the DAC/ADC chip. The thing can be configured over SPI, I2C or hardwired setting on power up. I2C is also used to change the system clock if needed as the oscillator has a I2C port. This entry was posted on December 17, 2009 at 8:31 pm and is filed under General. You can subscribe via RSS 2.0 feed to this post's comments. You can comment below, or link to this permanent URL from your own site. Looking good, can’t wait to hear it. Have you breadboarded it or are you hoping it will work first time? 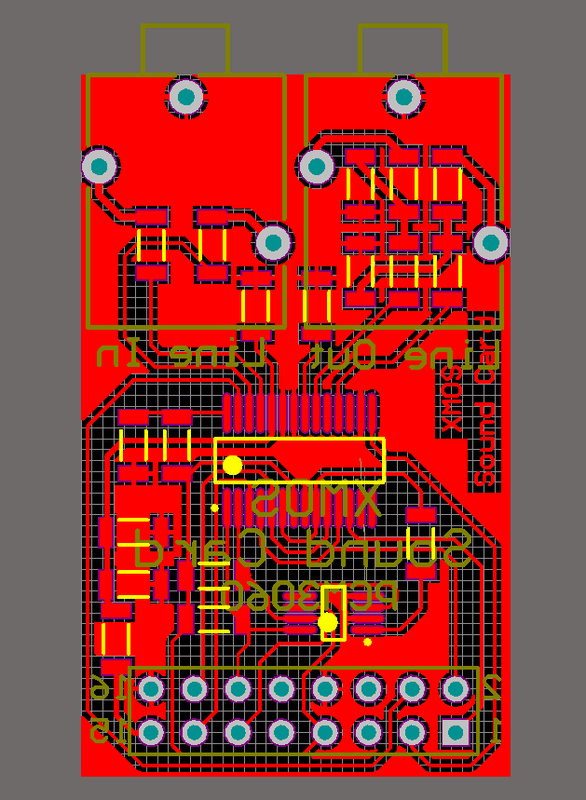 Nope SSOP28 chips don’t fit in breadborads,but there isen’t much to go wrong with this simple chip. 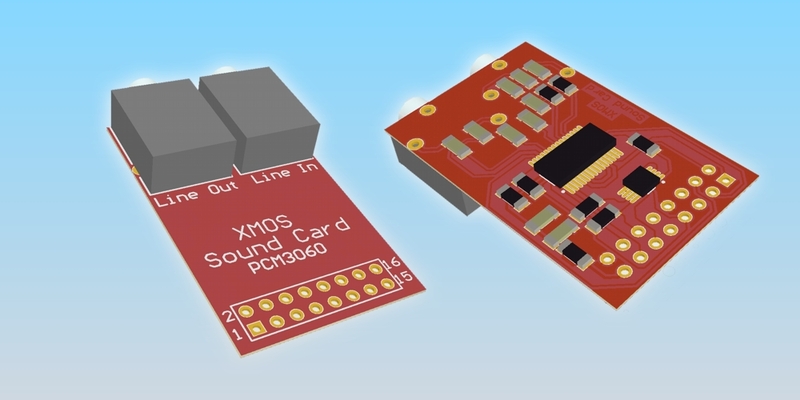 The card communicate with xc-2 via i2s, are there any library to do this or you write the code by yourself? I am thinking about buying an xc-2 to feed my buffalo dac (http://www.twistedpearaudio.com/digital/buffalo.aspx) via i2s and implement some form of digital equalization (fir or iir filter). a user space app on a linux host send pcm data via an utp socket to the xc-2, the xc-2 receive the data, fill a fifo and send i2s data to the dac in sync with an external clock. I think there is also the need to send back (always via utp socket) info about the fifo status to avoid under or over-run. It will be simple to implement this udp socket thing for xmos taking for grant that i’am able to do this in C between two linux box? That is project is entirely possible. But you will need to know C well to figure out the TCP/IP stack example for xmos chips in order to get your UDP packets going.